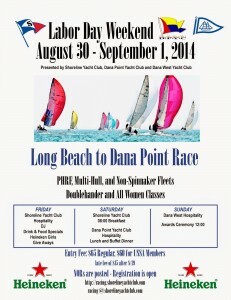 Attention Southern California PHRF racers! 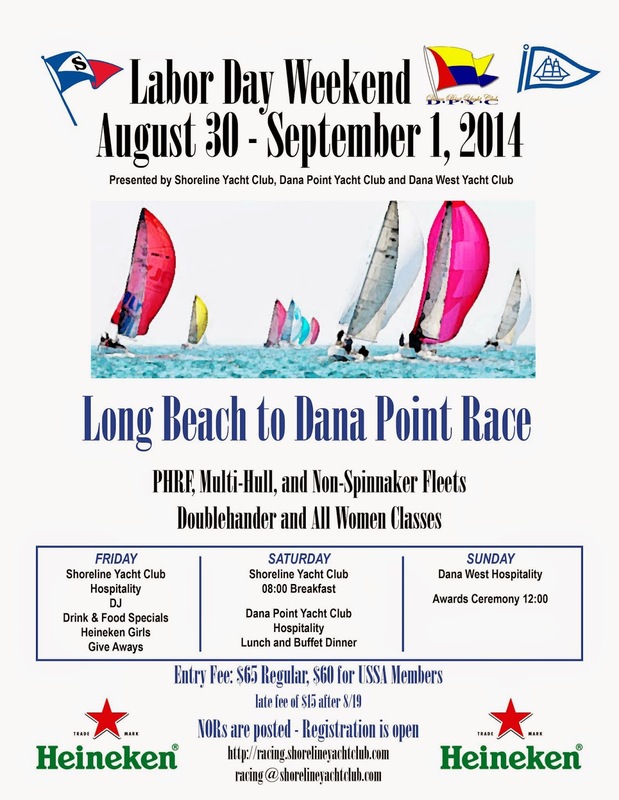 It’s time – once again – for the Long Beach to Dana Point Race. This 39 mile course for PHRF Classes and a shorter course for the Cruising Class is lots of fun for you and your crew! A great race to celebrate the end of summer with your family. Mike Dwight August 30, 2014 Category: General Content. Tagged: Dana Point, Heineken, Long Beach, PHRF, Race, Sailboat.